Reports surfaced earlier this month that President Donald Trump might try to make a surprise visit to the United Kingdom — and maybe stop by his golf course in Scotland — after the G20 summit in Hamburg. That didn’t happen, and now it looks as if Trump isn’t planning to make an official trip until 2018, reports The Guardian. 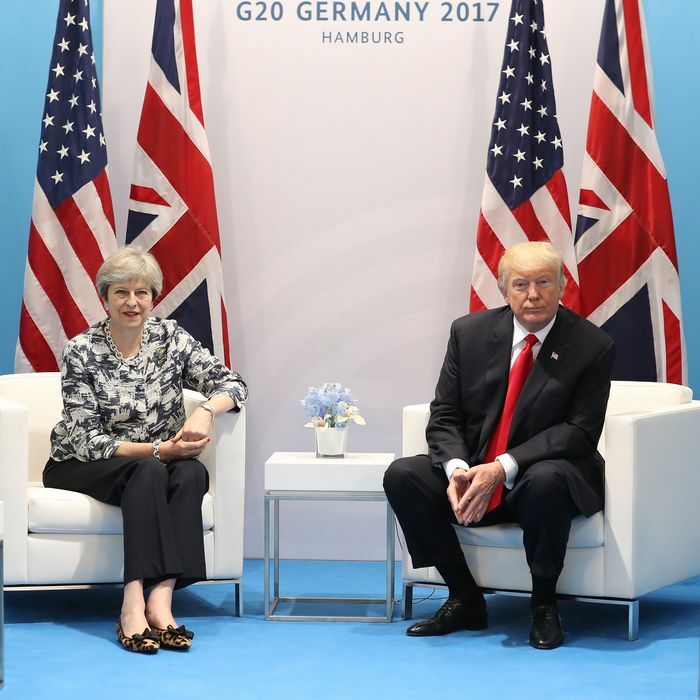 Trump accepted an invitation to visit the United Kingdom shortly after his inauguration, when Prime Minister Theresa May stopped by the White House in January. However, Trump’s deep unpopularity in Great Britain — made worse by his Twitter attacks against London mayor Sadiq Khan in the wake of the London terror attacks in June — almost guaranteed the American president would be met with protests. And Trump was apparently very keen to avoid any large-scale demonstrations. Also, he prefers world leaders come to him. But it remains to be seen whether a year will lessen the British public’s disdain for Trump, and nearly 2 million Brits have already signed a petition calling for the cancellation of his official state visit. “We’ll be ready for Trump and his dangerous, divisive politics next year,” Nick Dearden, the director of Global Justice Now, told The Guardian.